August 12, 2002 - 10:30 p.m.
On the radio, Diana Ross was singing "Do you know where you're going to? Do you like the things that life is showing you?" Now a man is performing a French song to the tune of "Feelings." 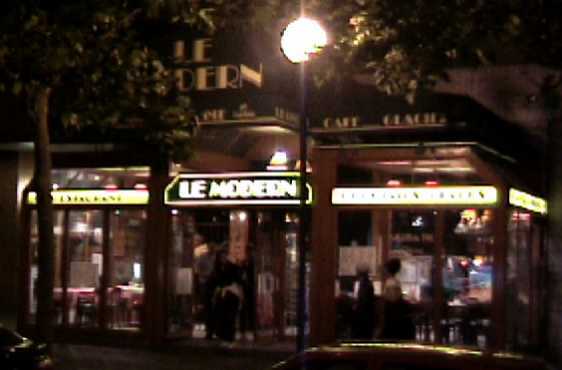 It's a rather laid back, nostalgic night here in "Le Modern" café. The tables are square and the ones set for dinner have red and white plaid tablecloths. My table top has a woven straw design. 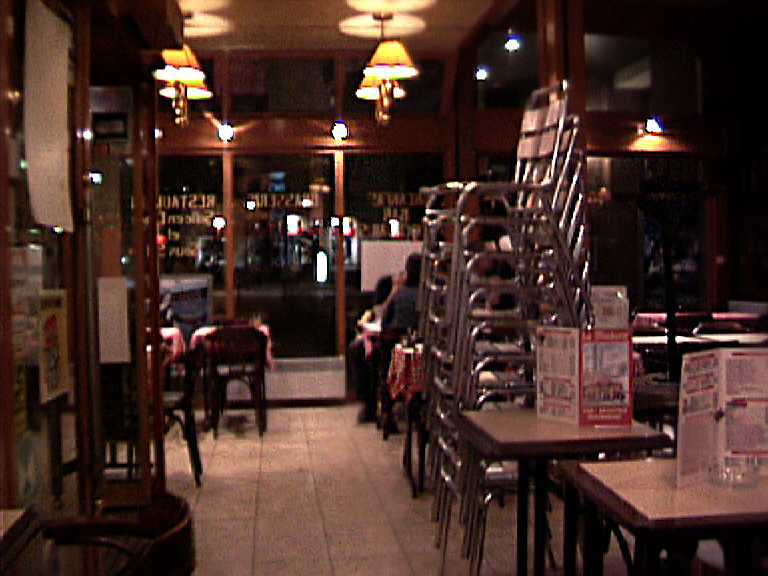 A clear glass ashtray sits in the upper left corner. My coffee came with a single rectangular sugar cube (can cubes be rectangular?) wrapped in a packet that features the state flag of Nevada, which can be adequately described in one word: blue. The espresso cup and saucer have that same stylized flower design I saw a few days ago. Oh no, the server is starting to close up the place, and I was hoping to write until 11:15. What kind of French restaurant closes at 11:00 p.m.? NOTE: I was very kindly asked to leave at about 10:53, and so I finished my writing for the day at a well-lit bus stop bench across the street.